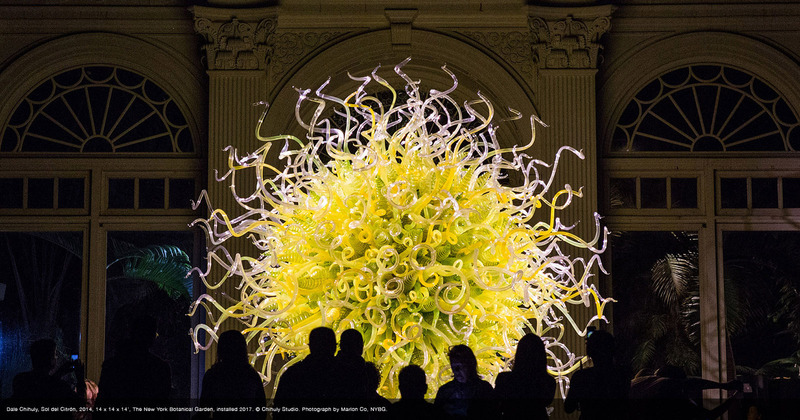 Dale Chihuly’s return to The New York Botanical Garden marked a milestone occasion: it’s the glass sculptor’s first major New York exhibition in 10 years. 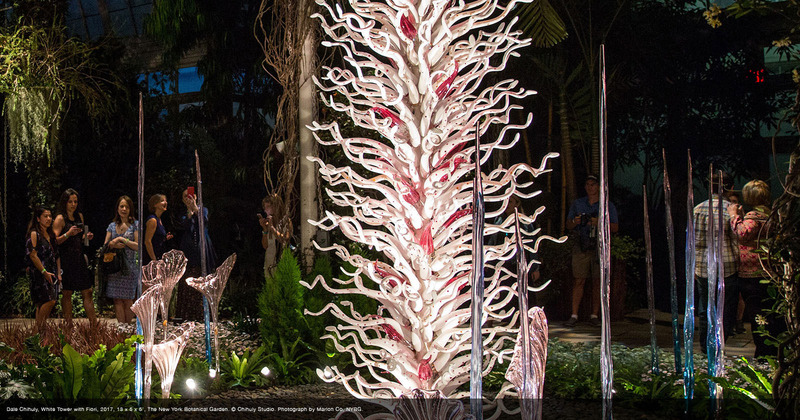 Frost Productions helped enhance the sensory-filled installations of CHIHULY, bringing the artist’s signature colorful shapes throughout the Garden to life with lighting production support. 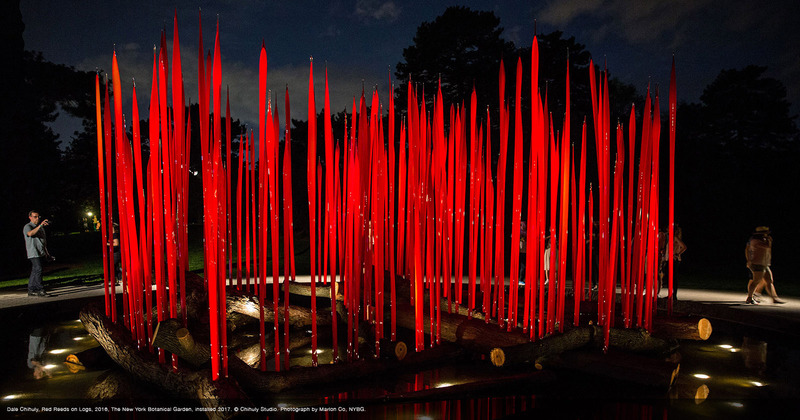 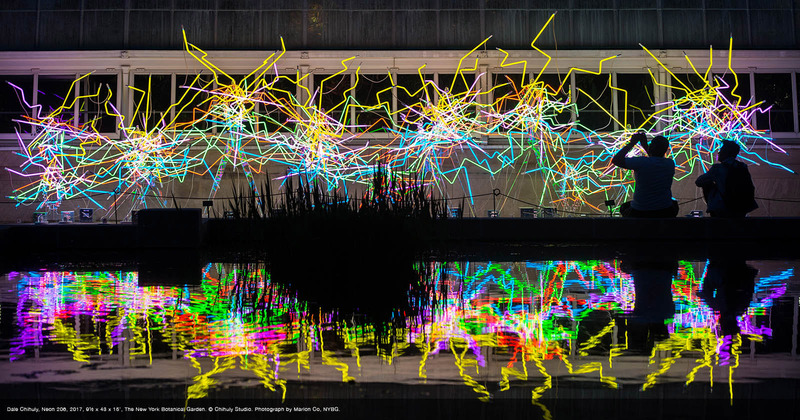 This day-to-night exhibition of form, color, and light required evaluating 15 of the artist’s installations as they’re placed throughout the Garden, and creating a lighting scheme that would transition beautifully throughout the day. 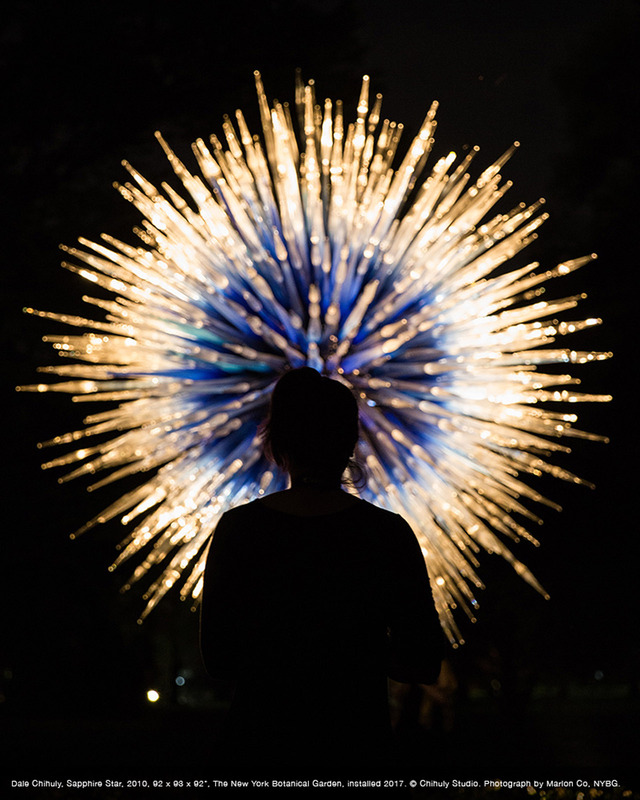 CHIHULY Nights, the evening portion of the exhibit, received special consideration, taking into account the NYBG’s sweeping vistas and beautiful Conservatory. 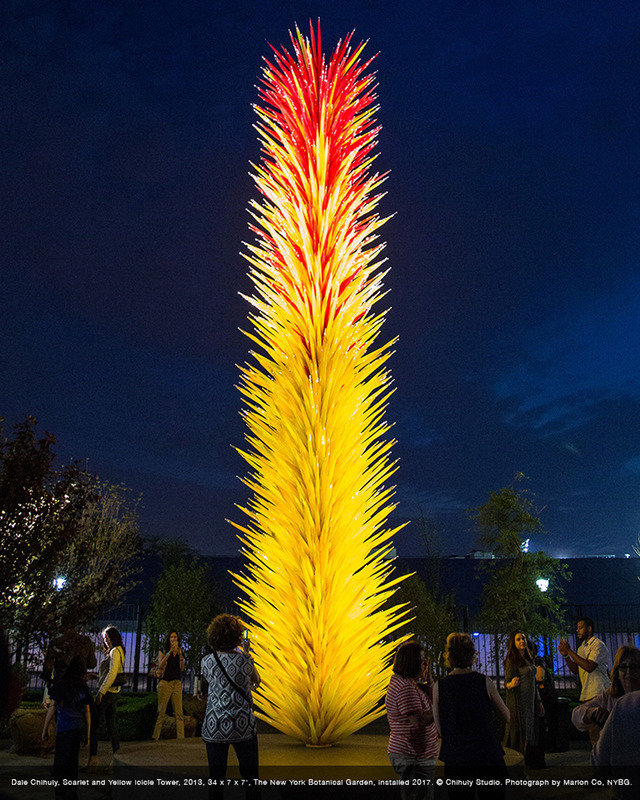 We illuminated the sculptures by strategically placing lights to capitalize on the fantastical nature of Chihuly’s work and infuse the exhibition with magical energy.